The Wings of Freedom Tour of the WWII Vintage Boeing B-17 Flying Fortress, Consolidated B-24 Liberator, North American B-25 Mitchell and P-51 Mustang will be on display at the Natchitoches Regional Airport March 7-9. The exhibit is in honor of World War II Veterans. The Collings Foundation’s Wings of Freedom Tour the display as part of 110-city tour. A Flying Fortress “Nine O Nine,” B-24 Liberator “Witchcraft,” B-25 Mitchell “Tondelayo” bombers and P-51 Mustang “Toulouse Nuts” fighter, will fly to the Natchitoches Regional Airport. This is a rare opportunity to visit, explore, and learn more about these unique and rare treasures of aviation history. The B-17 is one of only 9 in flying condition in the United States. The B-24J Liberator is the sole remaining example of its type flying in the World. The B-25 is best known for being used in the daring Doolittle raid and the P-51 “Toulouse Nuts” fighter recently received the Oshkosh Grand Champion Award for restoration. Visitors are invited to explore the aircraft inside and out for $15 for adults and $5 for children under 12 for access to up-close viewing and tours through the inside of the aircraft. There will be iscounted rates for school groups. Visitors may also experience the once-in-a-lifetime opportunity to actually take a 30-minute flight aboard these rare aircraft. Flights on either the B-17 or B-24 are $450 per person. P-51 flight training is $2,200 for a half hour and $3,200 for an hour. 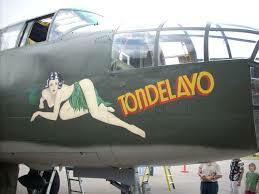 B-25 flights are $400 per person. For reservations and information on flight experiences call 800-568-8924. The WINGS OF FREEDOM TOUR will be on display at the main general aviation ramp, 450 Wallenberg Drive. The tour will arrive at the Natchitoches Regional Airport at 2 p.m. on Wednesday, March 7 and will be on display until the aircraft departs after noon operations on Friday, March 9. Hours of ground tours and display are: 2-4:30 Wednesday, 10 a.m.-4:30 p.m. Thursday and 10 a.m.- noon Friday. The 30-minute flight experiences are normally scheduled before and after the ground tour times above. The Collings Foundation is a 501c3 non-profit educational foundation devoted to organizing “living history” events that allows people to learn more about their heritage and history through direct participation. The tour is celebrating its 29th year and visits an average of 110 cities in over 35 states annually. The tour travels the nation as a flying tribute to the flight crews who flew them, the ground crews who maintained them, the workers who built them, the soldiers, sailors and airmen they helped protect; and the citizens and families that share the freedom that they helped preserve. The B-17, B-25 & B-24 were the backbone of the American effort during the war from 1942 to 1945 and were famous for their ability to sustain damage and still accomplish the mission. Despite the risks of anti-aircraft fire, attacking enemy fighters, and the harrowing environment of sub-zero temperatures, many B-17s, B-25s and B-24s safely brought their crews home. The P-51 Mustang was affectionately known as the bombers “Little Friend”, saving countless crews from attacking axis fighters. After the war, many aircraft were scrapped for their raw aluminum to rebuild a nation in post-war prosperity and therefore very few were spared. The rarity of the B-17, B-25, B-24 & P-51 – and their importance to telling the story of WWII is why the Collings Foundation continues to fly and display the aircraft nationwide. At each location, the tour encourages local veterans and their families to visit and share their experiences and stories with the public. Visitors can find out more by visiting www.collingsfoundation.org.